Ultra is Duracell’s most powerful alkaline battery. If you’re using a device that requires high battery output, Ultra is the way to go. It’s the longest-lasting alkaline battery among leading brands. 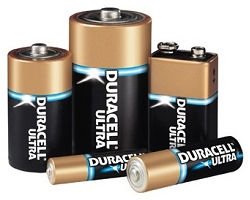 Ultra batteries are available in AAA, AA, C, D, and 9-volt sizes.